1) Don’t Eat Fast-Digesting Carbohydrates Fast carbs spike insulin, which halts fat-burning and boosts fat storage, particularly on top of your abs. Carbs to avoid are white bread, white potatoes, regular sodas, sports drinks, table sugar, etc. Instead, choose whole-wheat, rye or sourdough breads, oatmeal, sweet potatoes, fruits, vegetables, quinoa, legumes and brown rice. One exception here: You can eat fast-digesting carbs right after workouts when they’ll be put to work boosting muscle recovery and growth. 2) Don’t Neglect Isometrics More formally known as the Weider Iso-Tension Principle, this means flexing a bodypart, such as the abs, and holding that position (much like bodybuilders do when posing). 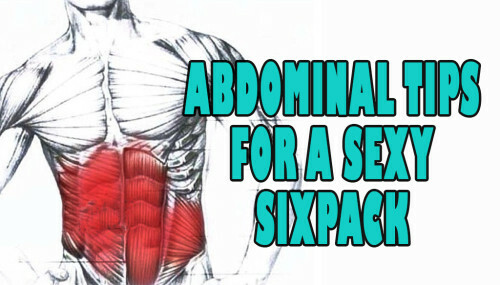 To do this, tense each muscle for 6–10 seconds, then relax for 6–10 seconds. Repeat for 10–20 sets. This is a great way to hit your abs while sitting in your car, on your couch or at your desk. 3) Don’t Forget About Your Breathing When you perform an ab exercise such as the crunch, exhale when you reach the finish or top position. This is important because it helps you better contract your abs. Holding the position for a second or two will maximize muscle-fiber involvement. 4) Don’t Stop You typically train in specific rep ranges, such as 8–10 or 12–15 reps per set. Yet when doing bodyweight ab exercises, you can’t alter the weight to match a predetermined number of reps. Therefore, rather than doing crunches or hanging leg raises for a set number of reps, do as many reps as possible until you come close to failure. Related article: Do Testosterone Boosters Work? 5) Don’t Forget to Weight Many guys worry that if they do weighted ab exercises, their abs will become thick and blocky. Yet abs are muscles just like biceps, so they need definition and separation to stand out. Do some weighted movements in the 8–10-rep range for optimal ab development.